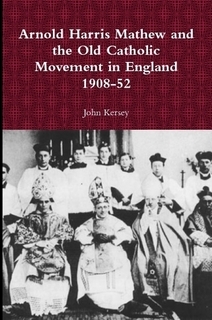 A revised and condensed reprint of the author’s “A History of the Old Catholic Movement in England”, this book gives a detailed account of the life of Arnold Harris Mathew, first Old Catholic bishop in England, and outlines his successors in the form of the Old Roman Catholic Church of Great Britain and the Liberal Catholic Church. Published in a softcover edition by European-American University Press. 256 pages.